Tag Archives: Eggs…and Easter eggs at that! Well, really, so far it is just egg!!! On Sunday, I went outside to feed the chickens and let them roam around a bit in the yard. We don’t exactly allow the chickens to be fully free-range as there are too many predators around and we cannot provide a truly safe habitat for them. Still, we give them a lot of yard time and they have a fair space that is safe when they are not in the yard. One of the birds spent a good bit of time investigating one area in the yard that was secluded and confined. It was apparent that she was looking for a place to lay an egg. 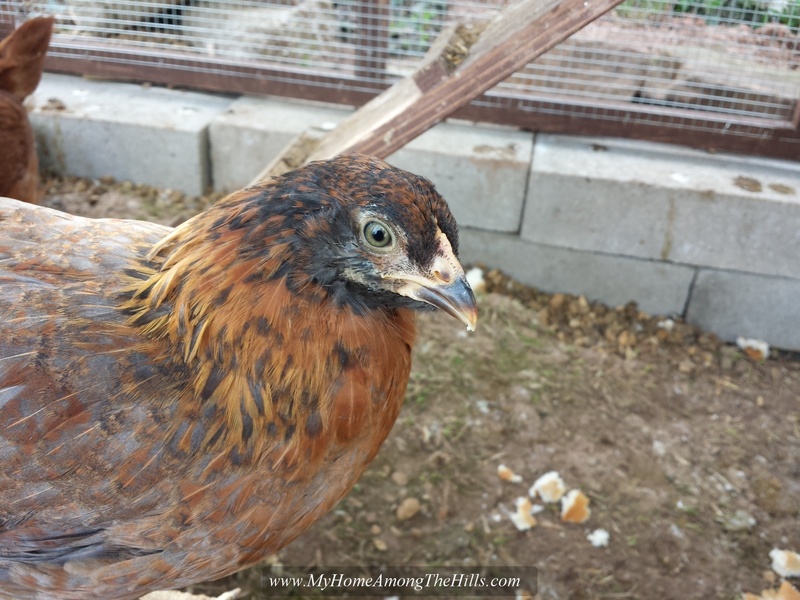 “Hodor” (she was big and not very bright when we got her) is a brown egg layer and one of the two that is a week older than the other birds so it made sense to me that she would lay earlier than the others. 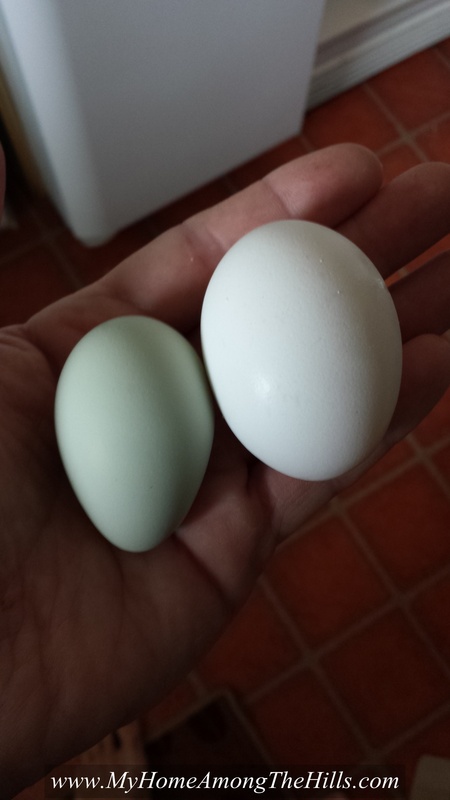 Anyhow, I watched Hodor and she never did lay an egg. I urged the chickens back into the coop area and went out for a bit. 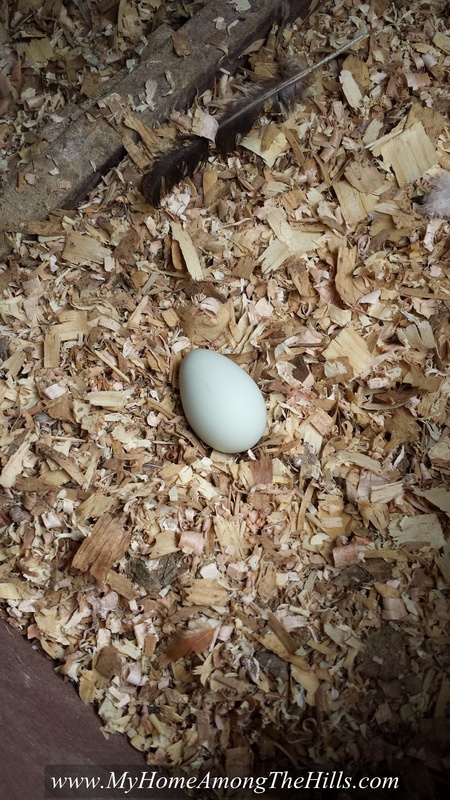 When I returned, I opened the pen again and, by dumb luck, looked into the nesting boxes. I thought I might see a brown egg from Hodor, but didn’t really expect anything. 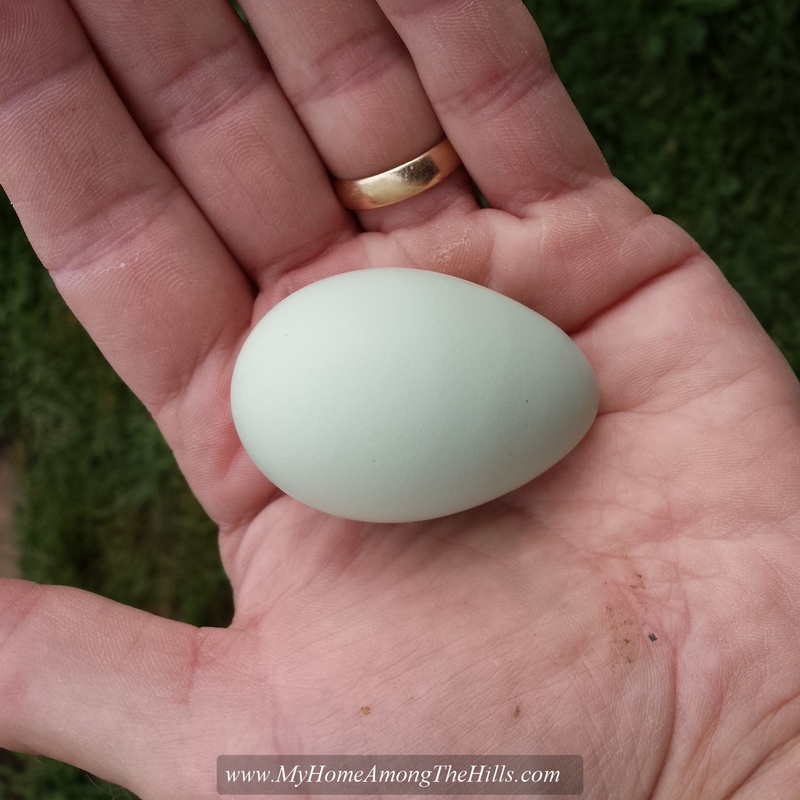 To my surprise, there was a nice but small blue egg! We have two birds which I think are Ameraucanas (or more likely Easter eggers), one of which must be the source of the first egg! My Easter eggers, Sue Sylvester and Houdini, are skittish crazy birds so I figured they would either stay so “cinched up” that they would never lay or be dropping eggs every time the wind blew. Maybe Sue and Houdini will settle in and be pretty cool…or maybe the wind blew. Who knows? I am not sure I care though…after all, one of them gave me my first egg!